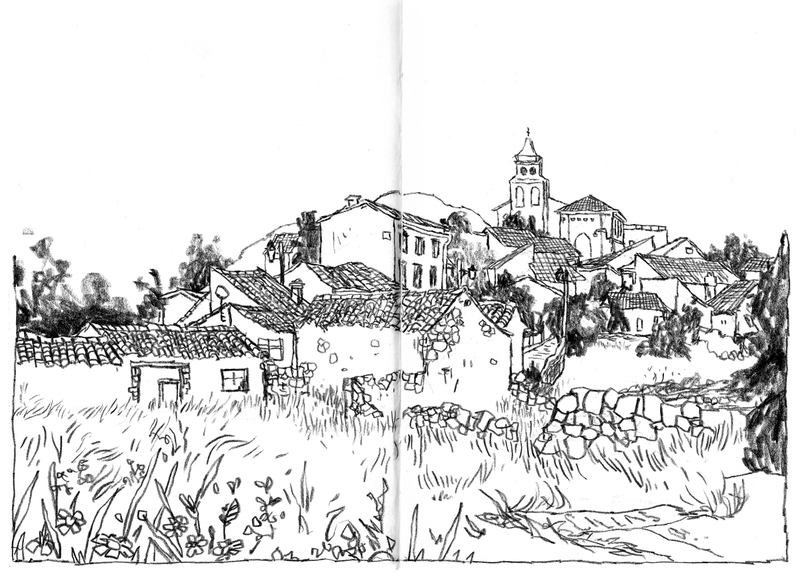 Here's a drawing I did of a town called Cillas. And here's some color on it. Thanks for looking at my pictures, folks! More as I scan stuff. Jeez, I love this. Makes me feel very inferior. Lovely, Jake. 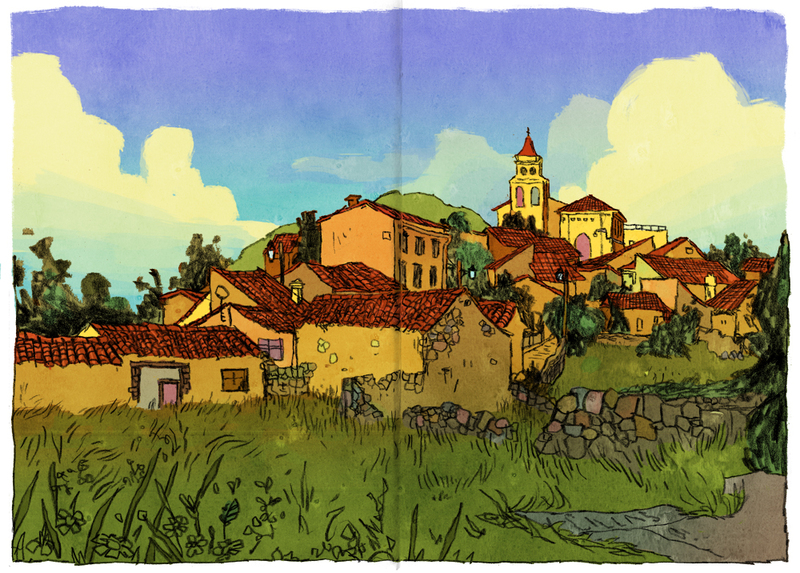 Warm and summery and making me want to bike tour through Spain. Really cool - the touches of pink in the colour one are a nice touch! Really nice shape design and lyrical line! Love the color too! I can't get over the colors. Jake- haven't seen your work in a while, and it's more beautiful than ever. Rock the heck on. What are you up to these days? The MOB is the PEAR and now the FUNERALS start! And OLDSMOBILE to GUCCIONE are tossing TURNER. OSIRIS - PETWOOD- " PFST"!